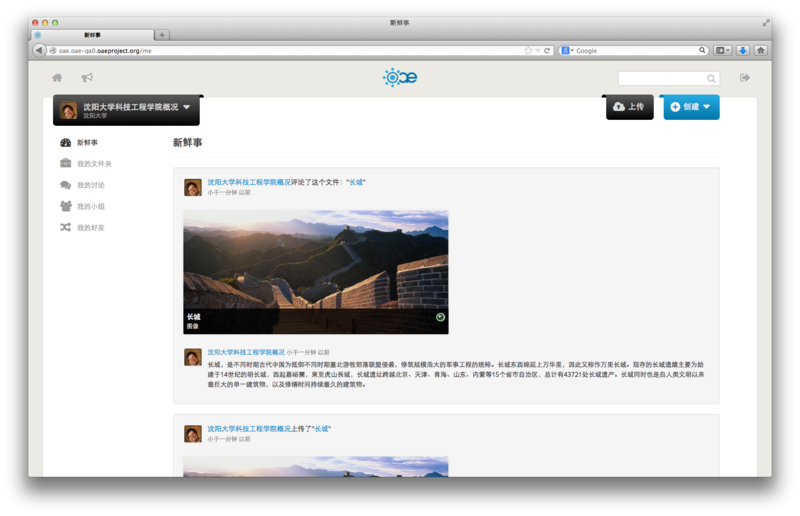 Back to posts Apereo OAE is now available in Chinese! 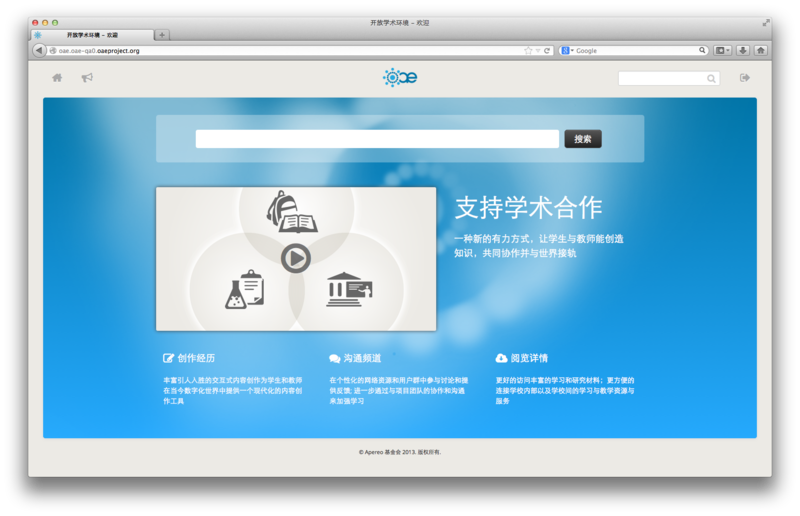 Apereo OAE is now available in Chinese! We're pleased to announce that a complete Chinese (Simplified) translation is now available for OAE. This translation was included in the Alpine Swift release, and has been updated since to include all of the new features that will be part of the next release. The Crowdin translation page for this can be found here. 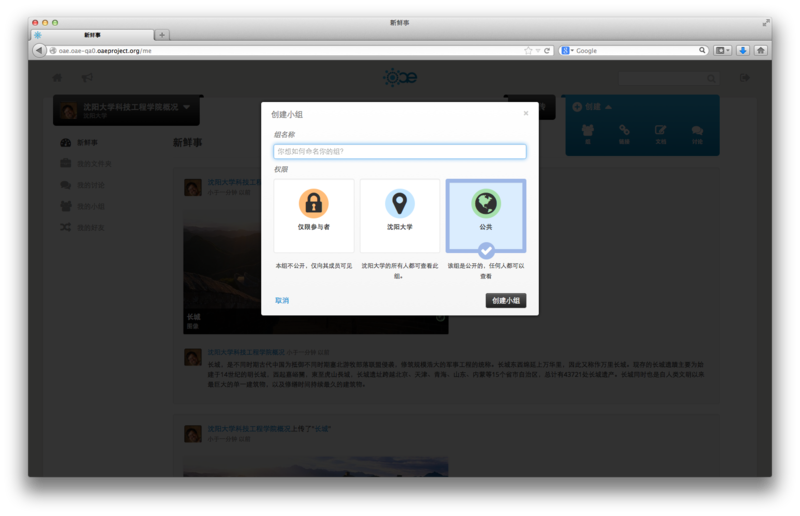 Below, you can find some screenshots of the application showing in Chinese. A big thanks goes to Harry Wang for providing and maintaining this translation!